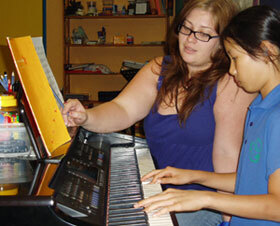 The Centre for Youth Music has spaces in its term three group keyboard classes, starting this week. Class sizes are limited and are for children aged four to seven. The cost of fees is $187 (+ $10 book fee) for an eight week term. Lessons are for 55 minutes duration. Owning a keyboard is necessary and each child must be accompanied by a parent. To enrol contact Glenda Snyder on 8946 6860. Places are limited so enrol now! For more information about the CYM visit www.cdu.edu.au/cym or phone 8946 6013.